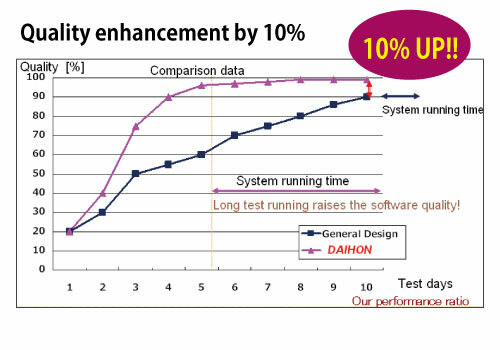 The DAIHON is core of our technology that we developed. Hot changeover to next job without downtime. 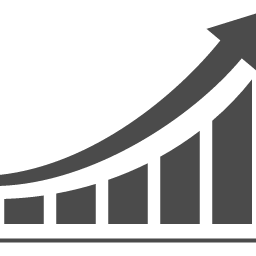 Applying DAIHON framework, Company achieved 65% gain in the speed of development, resulting cost saving as much as \60,000,000., recently. The followings sections show actual effect of DAIHON. 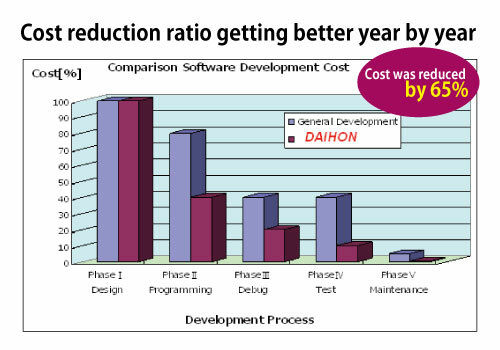 One customer company became the champion by using DAIHON framework in its efficiency of software development. As a result, their SE became free from such cumbersome jobs. Imagine an engineer’s speed as if a cheetah that jumps on a prey. 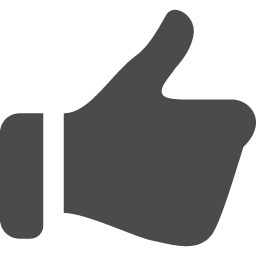 Outcome was outstanding and quality of completed result was excellent. 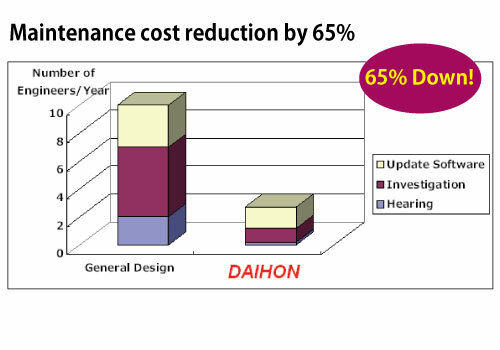 In view of the fact that DAIHON is based on visualization technique, it can enable cost reduction. The expensive equipment is of course, hard to keep for debugging purpose, in a Fab. 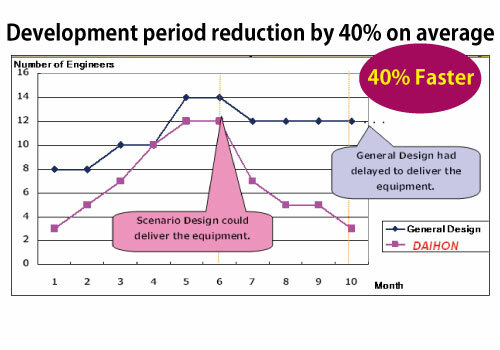 Not only shrinking development time but also number of WIP equipment, or work-in-process, need to be kept minimum. All pressure come from needs to maintain cost mini8mum..
High test frequency forces software quality better. Therefore, in the event of short development time is always welcome. In such case, test time and frequency can be abundant. All the merit comes from the excellence of DAIHON. Copyright©Atelier Ishikawa co.,ltd., 2016, all rights reserved.